If a tie could speak, it would implore you to treat it patiently for longevity. A badly treated tie, has a short life and you spend more money than necessary for replenishing your stock of ties. Proper care of the tie will ensure that there is no wearing of the fabric and prevents damage to the tie. The most common mistake in the caring is at the end of the tie-wearing time period. Most of us have a tendency to just yank off the tie and pull hard to untie the knot. To avoid damage to the tie while taking it off and untying it, exercise a little patience. Carefully loosen the tie and take it off and then untie the knot. The best way to untie is to reverse the steps used to tie the knot. After untying, loosely roll up the tie and store it. It is highly recommended that even as a novice tie wearer, you never store your tie without untying its knot. It can lead to permanent wrinkles on the tie. Keep a few days space between wearing the same tie. This allows the tie to return to its wrinkle-free state. Always store your ties by loosely rolling them. To roll a tie, begin by holding the narrow end against your palm, and then winding up the rest of the tie, with the wide end on the outside. Lay the roll on a flat surface on the coiled side. This will ease out the wrinkles in a few hours, leaving your tie fresh for use again. Same method is used to store ties while traveling. Another way to store ties can be to invest in a tie organizer or a tie case. If you get a stain on your tie, take it to the dry cleaner and explain the origin of the stain. 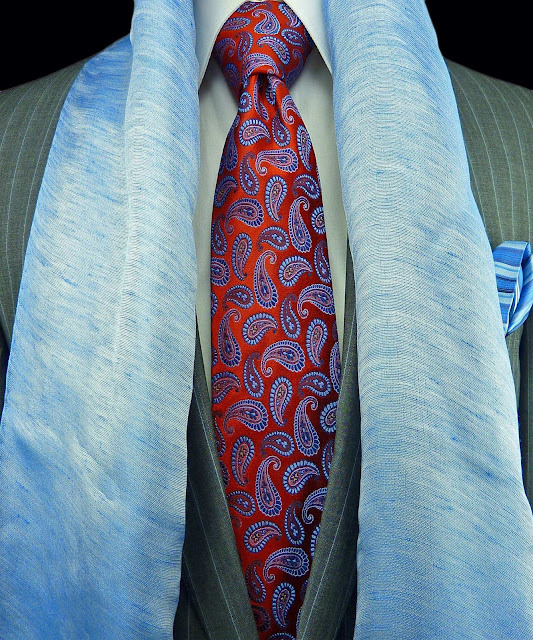 Silk ties do not fare well in dry cleaning, so the stained tie is either treated by hand or replaced with another one. Do not machine wash ties as it stretches and spoils the tie. Do not pull any loose thread on the tie; carefully trim it down with the help of scissors. You can lightly iron the tie (without steam) at low temperatures to smooth out some wrinkles. Hot ironing is not good for ties as it weakens the fabric. Use the appropriate fabric setting while ironing the tie. You can also steam out the wrinkles by hanging the tie in the bathroom during a hot shower, or by holding it over a kettle with steam. You must not allow water to touch the tie though. To dry the tie, roll it up in a clean towel and leave for one day. You will have a wrinkle free tie the next day. Washing your tie can lead to shrinkage so you must avoid hand or machine washing, instead trust a dry cleaner with your tie. If you dry clean silk ties or they will lose their luster and color. Also keep water away from your silk ties as it will stain them. Keep cologne away from your tie. It is the fastest way to ensure your tie loses color. Blot any stain on your tie, but do not rub it. Rubbing will spread the strain. Some patience and a little careful handling can give your tie longevity and durability.